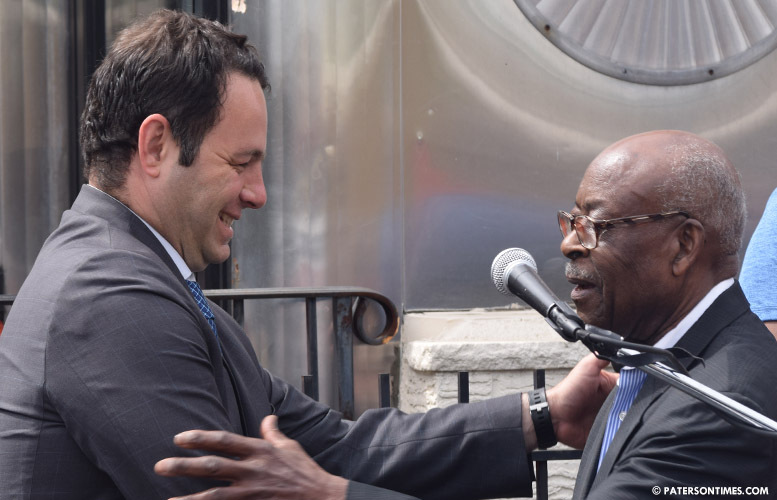 Russell Graddy, who marched with Martin Luther King, Jr. in Washington D.C. for civil rights, endorsed councilman Andre Sayegh for mayor on Saturday morning. Graddy stood behind a podium parked on the sidewalk in front of his business, Mr. G’s restaurant, on 10th Avenue. Graddy was flanked by Sayegh and former councilman Ed Cotton. 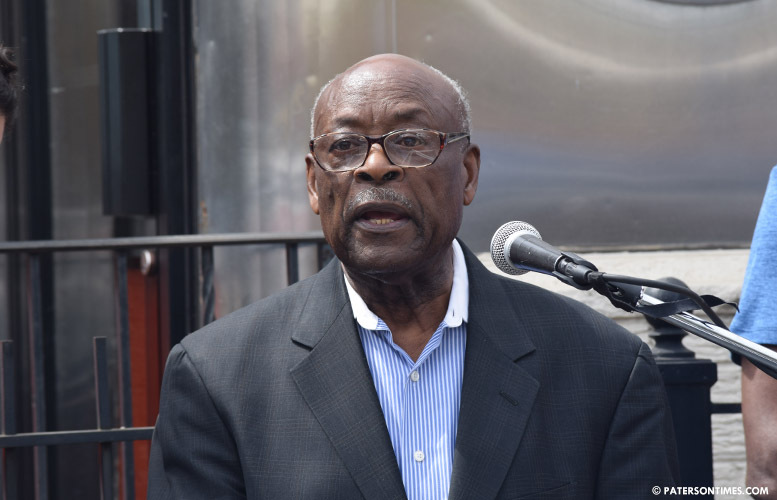 Russell Graddy, civil rights leader and business owner. Sayegh is praying third time’s the charm for him. Graddy’s endorsement was the latest from a series of key African-American community leaders in the city. A community that is expected to play a vital role in Tuesday’s election. Graddy moved to Paterson 72 years ago. He was 15 years old. “Paterson was a beautiful city at that time,” he said. The city’s problems are not insurmountable, he said. In 1963, Graddy stayed in the same motel as King, when the March on Washington for Jobs and Freedom, took place. The march was where King delivered his famous “I Have a Dream” speech. In 1968, Graddy invited King to visit Paterson. He has seen tough problems, but the city’s problems are not intractable. “Those problems can be solved,” said Graddy. Four years ago, Graddy did not back Sayegh. He supported former mayor Jeffery Jones. It’s going to take a man with “skills,” “heart,” and “fairness” to bring together the city’s many different ethnic groups, he said. “I believe that man is Andre Sayegh,” said Graddy. Sayegh’s campaign has been targeting the different ethnic groups. His campaign strategy has been to get a slice of every community to pull out a victory on Election Day. Looks like Andre is going to win.